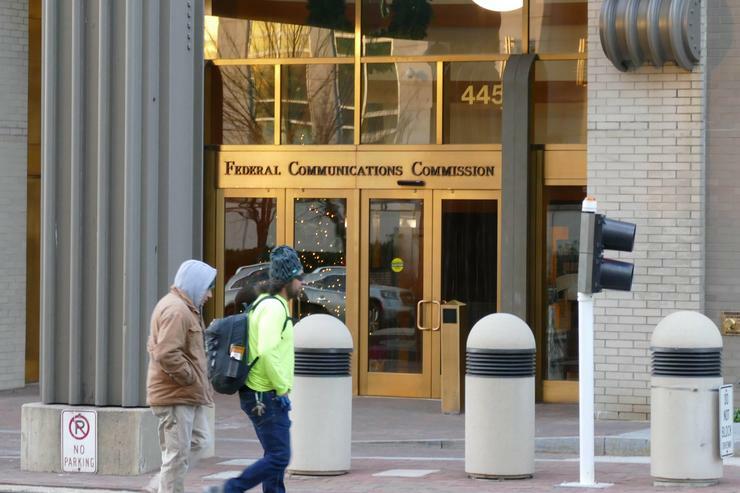 The U.S. Federal Communications Commission has voted to deregulate the providers of the business data lines connecting broadband service to many small businesses, schools, hospitals, and ATM machines. The deregulation of business data services, or BDS, could mean broadband price hikes for those businesses as well as for mobile phone customers, critics said. BDS provides the backhaul that connects mobile towers to the wired internet. The commission's 2-1 party-line vote ends price caps on much of the BDS market across the U.S., while retaining price regulations in about a third of the country. Republican commissioners argued that pricing regulations are largely outdated, with high-speed fiber and cable services beginning to compete with traditional copper-based BDS networks, sometimes called special access. The FCC has long attempted to achieve "perfect" competition in the BDS market, but failed, FCC Chairman Ajit Pai said. It's time for the agency to stop "micromanaging" the market, he said. "For a time, the FCC drank deep of heavy-handed economic regulation of the BDS market," he said. "Price regulation ... is seductive, but in reality, price regulation threatens competition and investment. Regulators will always struggle to set the right price." BDS generates an estimated US$45 billion-plus in revenue each year for AT&T, Verizon Communications, CenturyLink, and other providers. The FCC's vote takes away price caps in a county when a competing BDS provider has a network within a half mile of 50 percent of the buildings served by existing providers, even if the building is now served by just one provider. The price cap would also go away if a cable broadband provider serves 75 percent of locations in the county. Critics suggested that broadband prices for businesses who still depend on sub-50Mbps data lines could rise 25 percent or more. Many politicians have talked in recent months "about protecting our nation's small businesses -- the backbone of the American economy," said Commissioner Mignon Clyburn, a Democrat. "Yet it is these very businesses -- the mom-and-pop hardware store, the family-owned wireless provider, and the small rural hospital, that just drew the short straw." Instead of looking out for "millions of little guys," the Republican majority at the FCC has sided with the interests of huge telecom providers, she added. Clyburn predicted "immediate price hikes," especially in rural areas. "Just where does the buck stop? At the wallets of every American consumer," she said. The FCC action comes after some tech-related trade groups, lawmakers, and consumer-oriented groups Public Knowledge and the Consumer Federation of America called for the FCC to delay the vote. The FCC's recent determination that there's "intense competition present in this market" conflicts with the agency's own observation last July that an estimated 73 percent of BDS customer locations are served by just one provider, and only 3 percent have more than two providers. The FCC's recent shift on BDS deregulation embraces "debunked theories that competition, despite high barriers to entry and more than a decade of evidence, is just around the corner," Phillip Berenbroick, senior policy counsel at Public Knowledge, said this week. The FCC's deregulation of BDS sides with large telecom carriers "instead of the public interest and consumers," he added.